It never ceases to amaze me the magic that comes from the power of intention, mixed with decision, and then action! I have the intention to finish my trades this year and start helping start-up entrepreneurs in the onematchstick office. I decided to dedicate blocks of time in my diary to onematchstick to work on my strategy. And I started taking that action: Big chunks of my energy and time over the next few months are now dedicated to this project. And then the magic started happening! 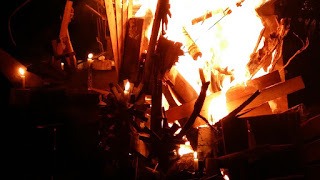 I was at a friend, Tristan’s farewell, and he had said I should speak to his friend in property about onematchstick and that he would connect us that following week. I was then enjoying standing around the bonfire – Tristan always has a bonfire at his awesome parties – and I ended up striking up a conversation with this exact friend who Tristan wanted to introduce me to. The conversation somehow ended up with me promising this new contact a game of Cashflow101®, as I have the game at home sitting in the cupboard.... or at least I thought I did. A bunch of my friends and I, many years ago, decide to learn about money and finances, and purchased the game, after I met Robert Kiyosaki at one of his events in Johannesburg. To keep my word, I tracked down Barry Mitchell who has been trained and mentored by Blair Singer (Rich Dad Advisor to Robert Kiyosaki). After some calls and emails, we have negotiated a trade that has turned out far more exciting than just a game of Cashflow with my new contact. So, I have already handpicked quite a few of my guests and sent them personal invitations. Join me for a fun-filled, high energy session of business, entrepreneurial and financial learning through playing the Game of Cashflow101®, an experiential board game created by Robert Kiyosaki, author of the Best-Selling book, Rich Dad Poor Dad, and facilitated by the #1 Sales Trainer & Business Coach in Africa, Barry Mitchell. RSVP Essential, by Friday 24th February, as this is an invite-only exclusive event, limited to 20 interesting friends of onematchtstick. As part of my onematchstick.co.za journey, I have a strategy to get to my final goal of the office to help start-up entrepreneurs. My next step involves negotiating with a new lead, and that negotiation somehow ended up including playing this game. That led to me finding Barry and trading with him to offer this exciting exclusive event! So please accept my invitation, knowing you will learn a lot, meet some fascinating people and be supporting me with my onematchstick trading journey in its final exciting stages! Barry has had over 23 years experience in the Sales Industry during which he has managed, lead and taught 100's of businesses the art of Sales & Leadership. His clients range from R200 million companies, to start-ups and individuals... all with the common goal; The desire to significantly change their business and their lives. 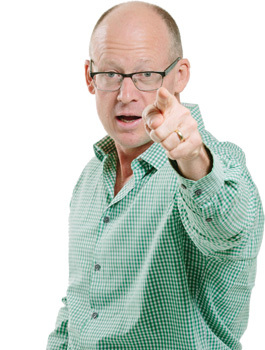 Barry works with and is mentored by the world’s top Sales & Leadership trainers Blair Singer. Barry's Sales Explosion workshop has helped thousands of people dramatically increase their sales in short periods of time. 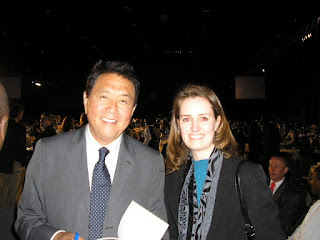 What do Robert Kiyosaki and his Rich Dad Advisors do to become Rich? This is a 3-hour event that will give participants an overview and hands-on understanding of what makes rich people richer and poor people poorer by playing Robert Kiyosaki’s Game of Cashflow101. Are you ready to learn about the 4 ways which could make your financial situation better in 2017? And are you ready to step up and change the way you have been earning your living? Barry has trained with Robert Kiyosaki and his team of Rich Dad Advisors and will be sharing their money insights and also practically working with you to teach you how to shift your mindset to think and earn like the Rich, by playing the interactive Robert Kiyosaki’s Game of Cashflow101®. Why being a successful Entrepreneur is more than just making money. The 4 Key Levels to financial learning and which level will create infinite returns. Why only some people will really make it as an Entrepreneur, and what you can do to be one of them. Invest in yourself. Invest in your future. Invest in onematchstick.